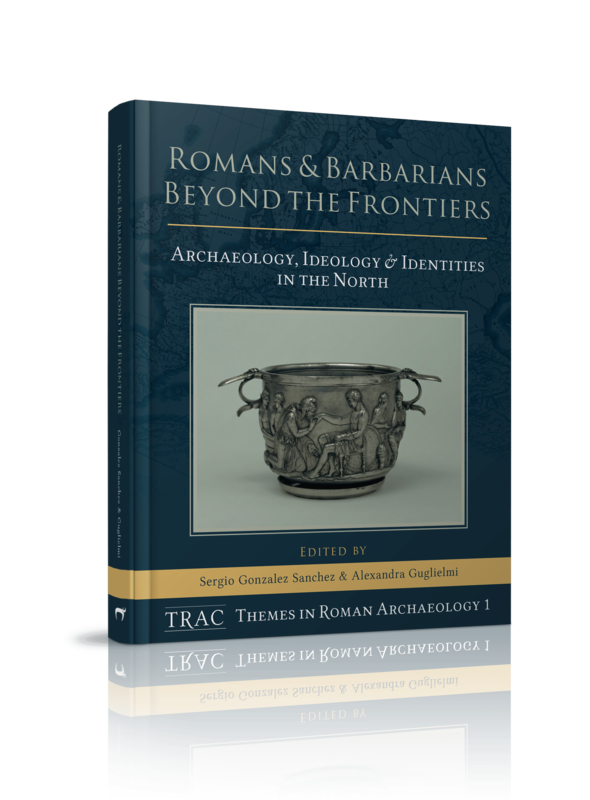 The TRAC Standing Committee is very pleased to announce the release of the first volume in the new thematic series TRAC Themes in Roman Archaeology (published by Oxbow Books), titled ‘Romans’ and ‘Barbarians’ Beyond the Frontiers: Archaeology, Ideology & Identities in the North (edited by Sergio Gonzalez Sanchez and Alexandra Guglielmi). The volume is available to pre-order from Oxbow Books and will be on sale at TRAC 2017 in Durham. This thematic volume brings together a group of renowned international experts to discuss different aspects of interactions between ‘Romans’ and ‘barbarians’ in the North-western regions of Europe. The content of the volume was derived from two sessions held at TRAC 2013 (London) and TRAC 2014 (Reading) on the overarching topic of ‘Roman’-‘barbarian’ interaction beyond the northern frontiers of the Roman Empire. The volume contains papers from both TRAC sessions as well as solicited papers from other relevant scholars within the field. Through a comparative approach, this volume aspires to produce a coherent and long-lasting work of reference on this rapidly growing field of study within Roman Archaeology, not by presenting a single unitary state of the question of trans-frontier interactions, but by reflecting on the variety of theoretical approaches and the methodological complexities present in different regions of north-western Europe. The aim is to bridge the gap between distinct academic communities and their interpretative frameworks, which are often dictated by the singularity of their cultural backgrounds and inherited archaeological discourses. Special thanks are owed to both the editors of the volume, Dr Sergio Gonzalez Sanchez and Alexandra Guglielmi, and to Dr Darrell Rohl for his initiation of this thematic series in his former capacity as Chair of the TRAC Standing Committee.